From the main menu, click directly 'Filters' on the left menu. 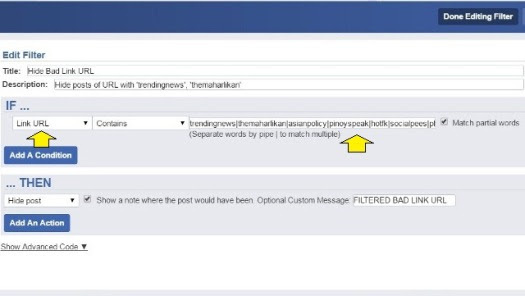 The 'Filters' dialogue will appear as shown below. 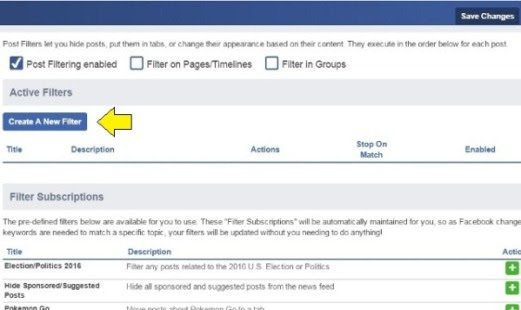 So click on 'Create a New Filter'. The 'Edit Filter' dialogue appears and this is where you will tell Social Fixer which websites to screen out. The title and description are optional but I simply put in 'Hide Bad Link URL' for the title. Click on the drop-down tab of the IF section and choose 'Link URL' as shown by the first yellow arrow below. Choose 'Contains' as the IF operator. For the values, type in your list of unwanted websites. Separate them with the pipe character or the '|' character which appears together with the backslash("\") key on the keyboard. Check the 'Match partial words' box as shown above. With this, you don't need to type in the .com, .info or .net of the url. All url's having the same domain names will be filtered out. 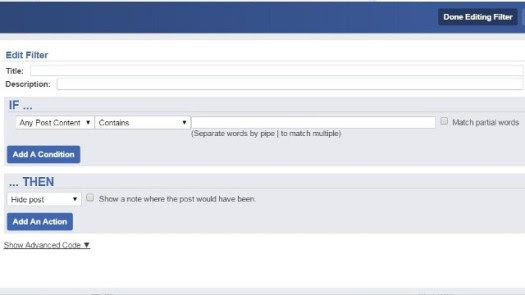 For the IF section, I just tell Social Fixer to Hide post and show a note where the post would have been. The note I put is "FILTERED BAD LINK URL". When finished, click 'Done Editing Filter'. Be sure to uncheck the 'Stop on Match' box. 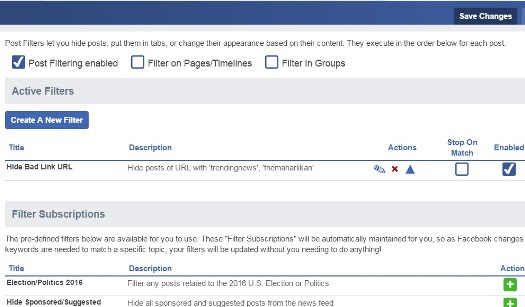 After saving the filter in Social Fixer, all the screened websites will be hidden when Facebook is refreshed. 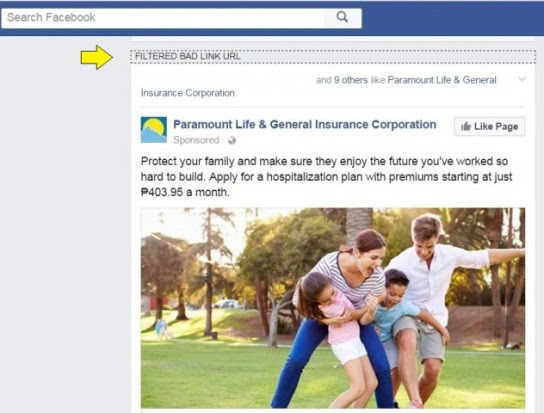 The following display shows an actual 'FILTERED BAD LINK URL' in between posts. The yellow arrow points to the tab where the screened unwanted post is hidden. When this tab is clicked, the screened post is unhidden and will be displayed as shown below. Clicking on the tab again will hide the post again. 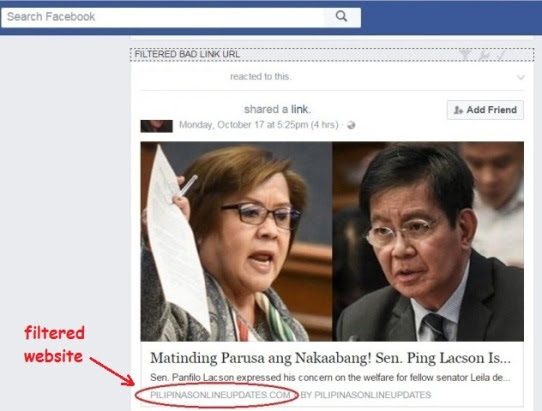 Note that the name of the hidden post actually contains a link with a website name that was entered in the filter (pilipinasonlineupdates). Social Fixer has plenty of options that you can play around with. I just chose to set it up as simply as I could and it has been effective so far. Although it is currently free, the author Matt Kruse, is accepting donations for this project. Click on the link below to download the Google chrome extension.